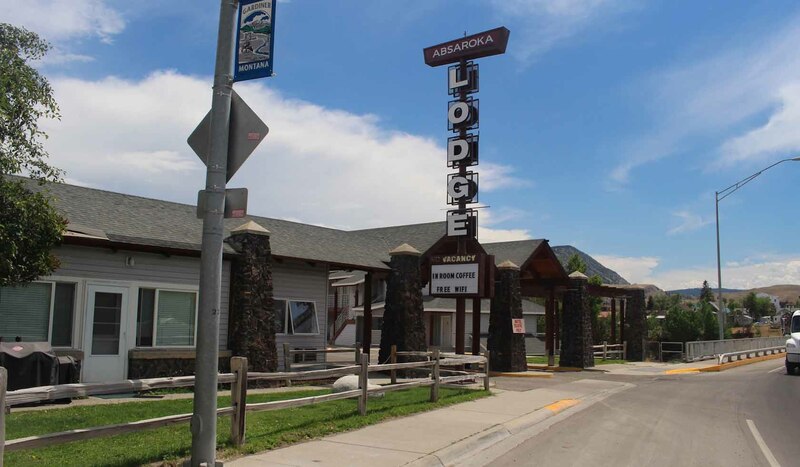 Absaroka Lodge is strategically situated directly on the banks of the Yellowstone River... offering a spectacular view. Each room has its own balcony directly overlooking the river. Sit on the lawn or your balcony and kick back, relax and enjoy the scenery. We offer quiet, clean, comfortable, air conditioned rooms, including 8 fully-equipped suites. Queen-size beds, satellite TV, free Internet access, phones, handicap room, and non-smoking rooms. Walking distance to restaurants, lounges, and shops. Friendly, helpful staff will help with information about Yellowstone National Park, area activities and guides. Open year round. Complimentary coffee, tea, and hot chocolate in lobby.